Food for Thought! : Taming the Tiger! Tiger wood, the Michael Schumacher of Golf... The richest athlete. The man who surpassed the financial net worth of the most famous athlete on the planet! Michael Jordan. 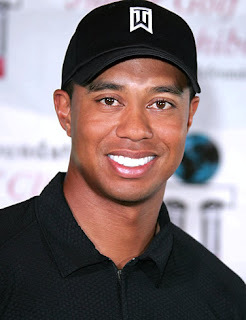 Golf became synonyms with Tiger Woods name, is down and out in public. Not an event anybody would ever want to see or hear about their role model. He was hope for millions. People followed him like mad. The uninteresting game was made interesting by this soul. Accenture whole heartedly showcased him in their advertisements. I am completely against what this man has done. How can you cheat your wife and two little children. People around the world follow you and you are behaving such irresponsibly! Simple wonderful life, all screwed up! But the point of focus for this post is media and not what Mr. Woods did. The media needs to understand where to stop, where to draw a line. The role of media is to inform the masses about an event. But constantly following the celebrity and making living impossible for them is just not appreciable. What Tiger did, is nothing new in american society, yet so much cry in the public. The then president Bill Clinton, was in the same boat, some time ago. 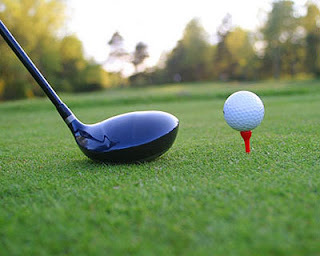 I understand corporates like Nike, Accenture lost in billions and their brand image took a beating, but the companies signed him because he was a great golfer and not because what he was! What he does with his private life should be his own affair. Now recently the TOI published Wood's pictures from his rehabilitation centre. fOoD fOr ThOuGhT: Mistakes are committed by human beings. Now that he has realised and ready to get punished, media should allow him to survive and become a better person. What he does with his wife, children and mistresses, should be left upto him. Correct yourself and move on! This guy will come back, win some big tournaments, the world will stop critisizing him and media will again go gaga about him again. Its good to see ur titles and are really amazing, uhave very good sense of humor. I wld say u are a witty writer(blogger !). Keep it up..
Thnx a lot doc for encouraging me! First time to ur Blog...Really nice food for the brain...Keep adding more !! I do not agree...infidelity is very common...and he did not cheat any one...whoever slept with him...knew what they were getting into..
there are many many who do this...it's just a matter of perspective exactly like eating a cow is inhuman...killing a living being is inhuman. I have come to accept the fact that we humans are the most hypocrite living creatures in this world....we only accept what suits our needs! !